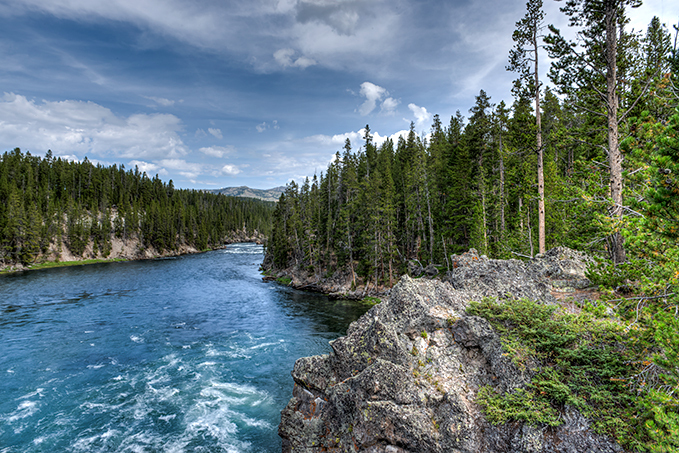 We enjoyed the many views of the Yellowstone River. This is before the river takes the jaw dropping tumble over Upper and Lower Falls. 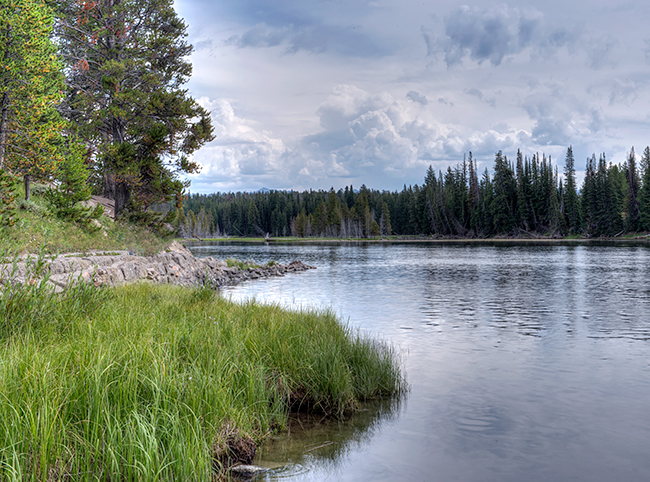 A view from near the famous fishing bridge on a perfect afternoon. 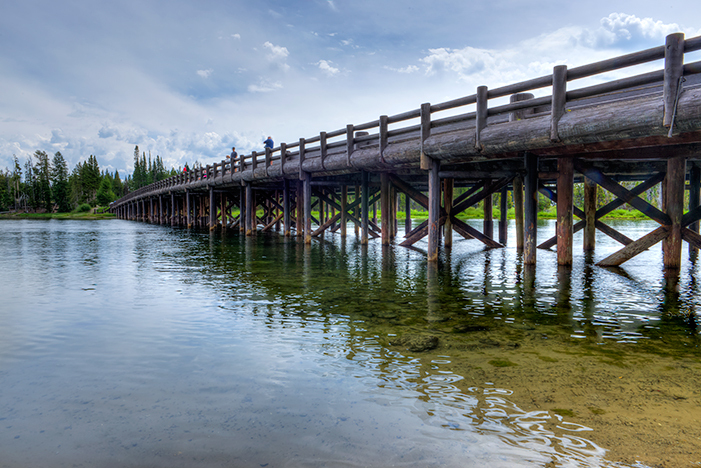 The long wooden fishing bridge over the Yellowstone River is always a popular fishing spot in the park.